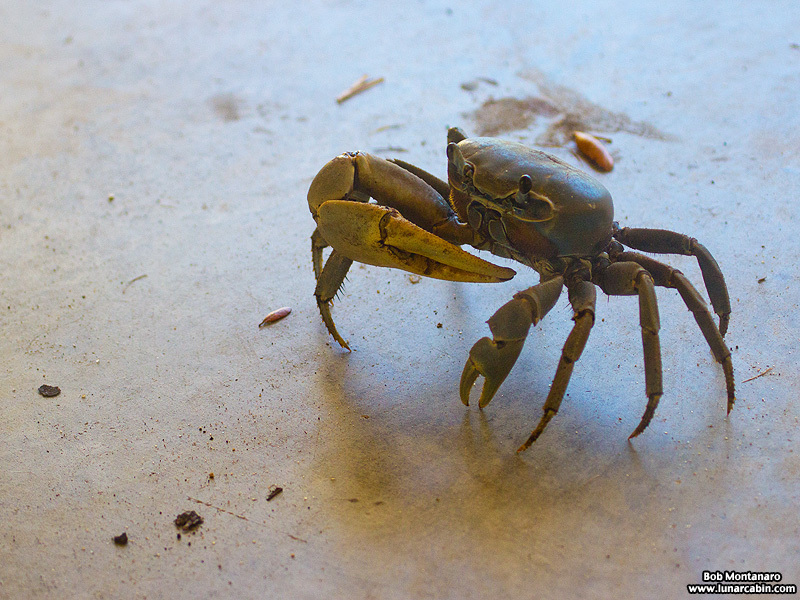 Sitting at my desk at (Pelican Island) Audubon House I was happy to look out the window and see this Blue Land Crab (Cardisoma guanhumi) exploring the breezeway. 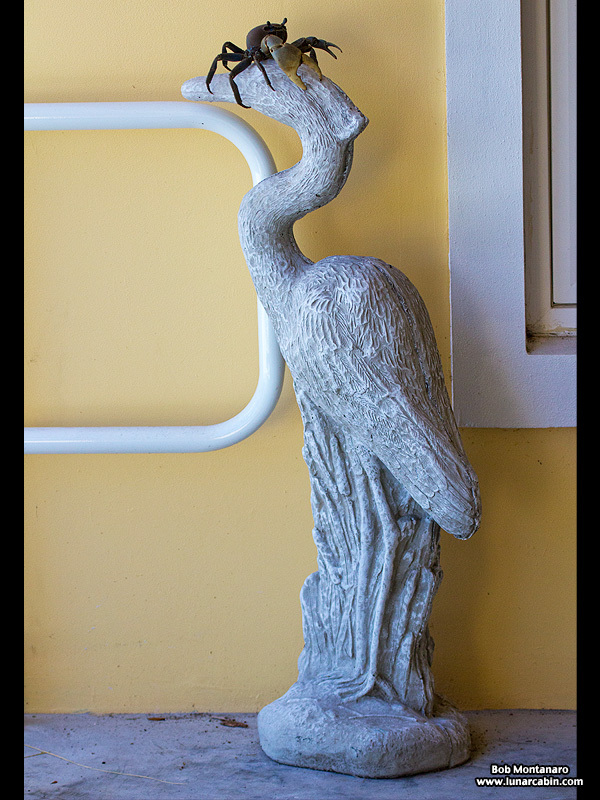 Being close to the Indian River Lagoon and surrounded by wetlands it came as no surprise seeing this little guy show up. 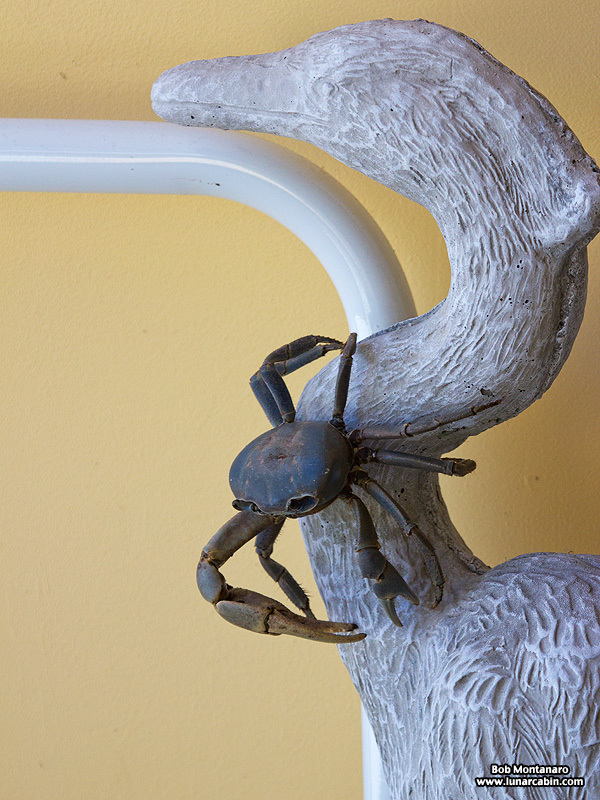 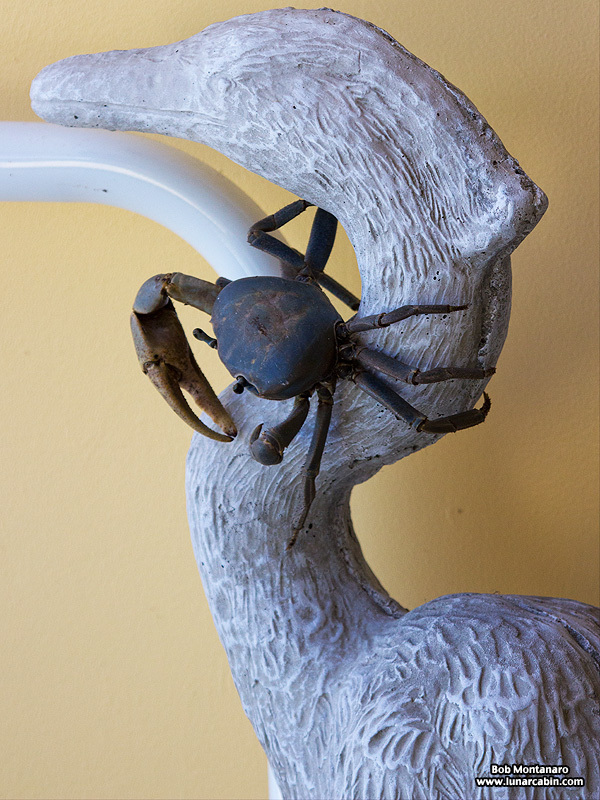 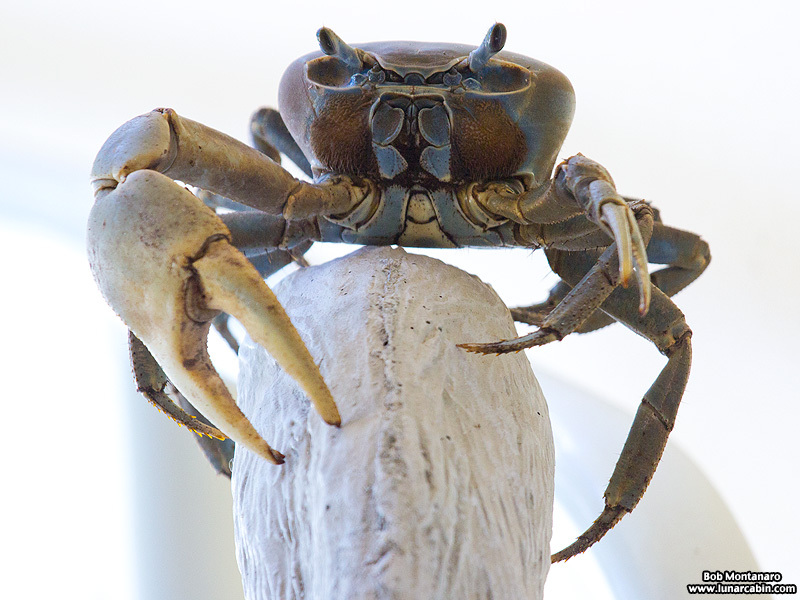 What was surprising, and a little disconcerting to actually see him doing it, was the Crab decided it needed a more elevated view of its surroundings and proceeded to climb the wading bird statue residing in the breezeway waiting to be put out in the landscaping as a decoration. 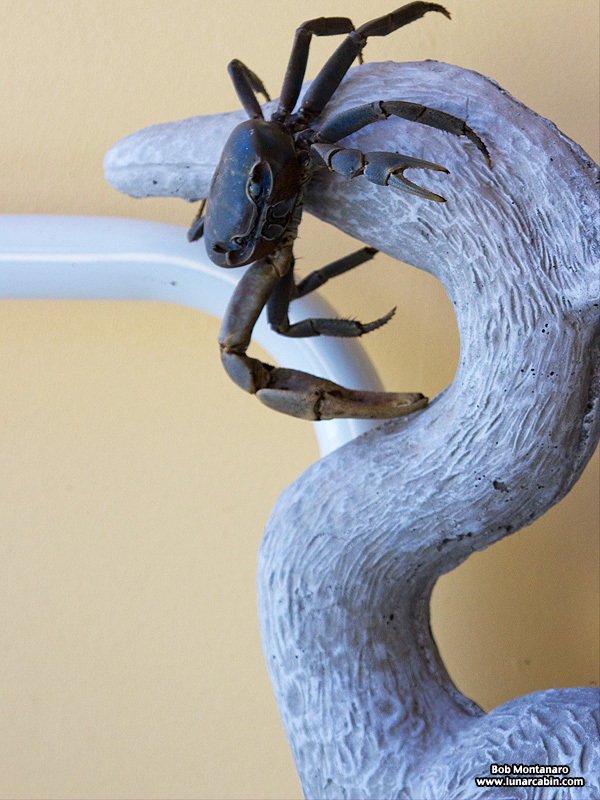 The Crab very deftly climbed the statue and once he reached the top was quite happy to relax up there for some time.